Energy Management & Tracking Site provides energy data for campus along with updates to other energy initiatives. The Utilities Department manages the data and works to improve the efficiency of utilities generation and distribution. They also support other energy gathering initiatives (AASHE STARS & Carbon Footprint). We coordinate closely with the Office of Sustainability to help engage and inform our campus and community on our quest to become a more energy efficient and environmentally friendly campus. Two versions of the WFU’s Building Dashboard have been installed on the campus. The Network version is integrated with Google maps and allows building energy and water usage in real time on the web. The Building Performance Improvement Initiative is a campus wide collaborative effort to reduce our carbon footprint, improve the efficiency of our building systems, and increase the comfort of our community. Learn more here. One of our closest campus partners, the Office of Sustainability, supports student, faculty and staff groups in developing strategic initiatives for integrating principles of sustainability into university programs, from teaching and research to public service and campus operations. Visit their website for more information. 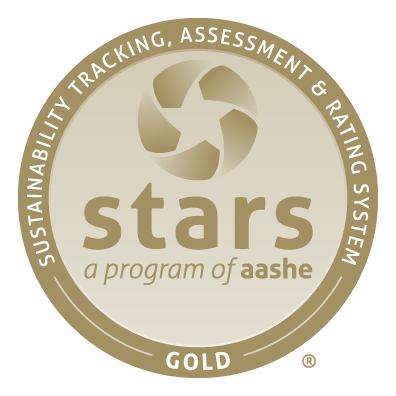 The Association of Advancement of Sustainability in Higher Education (AASHE) Sustainability Tracking, Assessment & Rating System™ (STARS) is a transparent, self-reporting framework for colleges and universities to measure their sustainability performance, and we got gold! Learn more about our sustainability highlights here.